That is a nice looking horse, he is going to enjoy all the attention. I think I found someone who wants Dusty, he has 2 other draft horses and I want him to be around other ones. The guy isn't one of those wheeler dealer horse people that can't be trusted so I am happy about that but will miss having him around. It is good when horses can go to good owners with other horses! WOW! That is exciting news! It's a win-win for all. 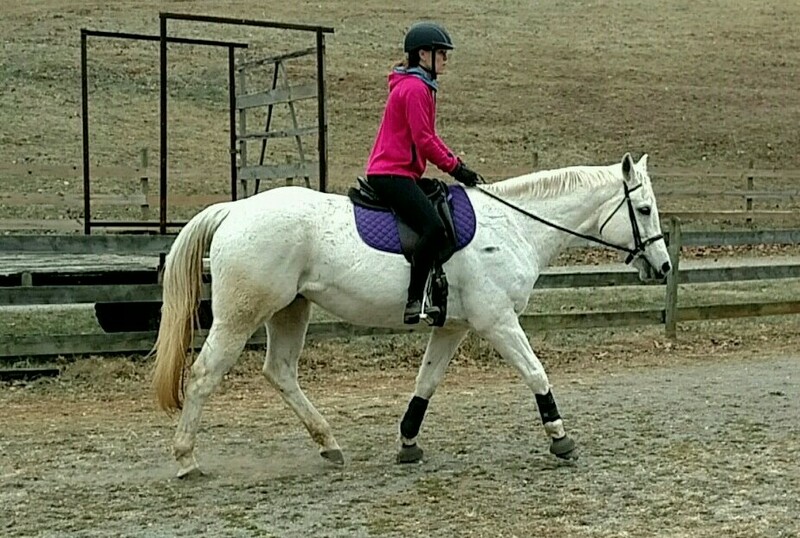 Happy New Horse! Can't wait to hear updates. He is beautiful! He must be the perfect horse for the boys...I am sure that later, the others will want to ride like big brother. Wish I could feel his soft mouth. That is so funny about Francie's jealousy!! He looks like a sturdy, calm, quiet - been there done that - horse - perfect addition to your farm. May you and the boys enjoy many happy trails with your new horse. He certainly landed in a good home. I'm sure Pierce will enjoy Sima. Will the other two boys learn also???? Bet so--when the time comes. Lovely story and i know Sima has found a wonderful new home with you and the boys! I went back to read how you acquired Francie - brought more than a few tears to my eyes! Congratulations to your new addition. They make a great looking pair! Congratulations! Pierce is a lucky kid! Oh my gosh, what a wonderful gift for your little one. My Husband rode horses as a child, I'm only brave enough to pet them and take pictures! How exciting. I am so happy for all of you! He is beautiful. That's a beautiful horse. Your son looks very happy (and proud) up there in the saddle. When they are grown up and gone, your boys will think back on living in the woods and be grateful for the experience. What a beautiful horse! My aunt owned an older horse for a while, and I had the pleasure of riding him a few times as a kid. It's one of those memories you never forget. You and Pierce will have an AWESOME time out on the trails together. Fantastic! Glad to hear one of your boys is starting to ride. Happy trails ahead! By the way, he'll learn quickly! OH!! WOW!! Your new horse, "Sima" is gorgeous and amazing. I love his white skin & precious mane. I LOVE HORSES & PONIES!! I'm sure Pierce is so happy riding his new horse, a beautiful gift from mom & dad. Francie might be looking a little bit jealous at your new acquisition, but you'll ride her too. Right? I read my older comment at the time you adopted Francie years ago. I'll include it here for you to read. Your Blog is one of the best ones in Blogland, since you always post about many different things in your life. This is my older comment about Francie... You are an Angel of God! Of course, I'll be back for more updates on this beautiful baby who deserves to live -just like the other horses. I think the world may need more people like you, with big hearts to help others in need. Look at that! I have been wanting to ride a horse and up until now, I haven't been successful! 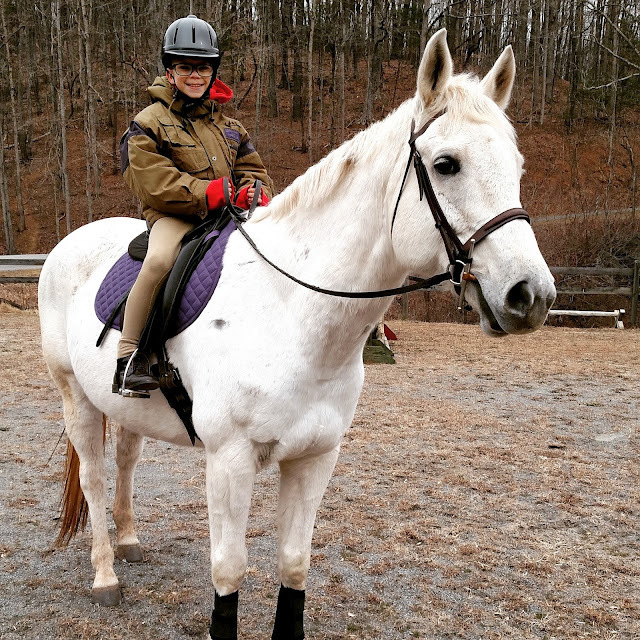 So happy to see Pierce and you enjoying your rides..
That's great that you found the perfect horse. It's so pretty!